The most advanced solution for cooperation between systems is the web integration achieved using the powerful API Avantiaservices. Avantiaservices is a system-to-system interface mechanism (S2S) that uses web services to exchange information between different software systems. Different protocols and standards are used to ensure that the interface is possible with any system capable of working with web services. The web services defined above are published on a website, making them available to cooperating systems. Lantek’s systems are also designed to be able to use web services published by other systems with which they must cooperate. Production processes can be broken down into specialized systems that cooperate with each other, forming a large, integrated system. 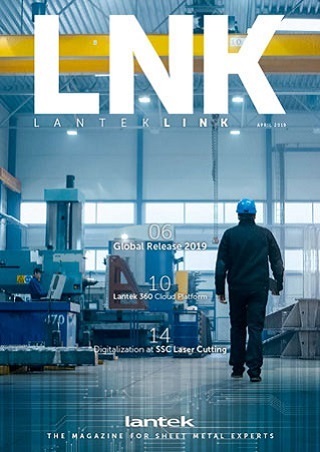 With its system integration solutions, Lantek aims to provide the results and efficiency sought by clients without resorting to interdependence between systems that keeps each one from evolving or being replaced because of obsolescence or other reasons. With this interface mechanism, we are able to base actions being performed in one system on data stored or calculations made in a second system. The system calls a web service from the cooperating system and waits for the reply in order to continue processing and making decisions. This dialog can occur in real time, be added to a queue so that it will occur at a scheduled time, or be postponed until the cooperating system has the resources required to process it. Avantiaservices allows your company to interact in real time with the management systems you already have in place and gives instant access to any information you need in a specific company system. The mechanism helps make decisions and automate the solution to problems in the production process. It significantly reduces downtime caused by transferring orders between different systems. This means that when a system finishes its part of the process, it automatically sends the order to the next system, even if it is in a different location. With Avantiaservices, the company has synchronized information at all times and in real time. Additionally, this mechanism allows production software systems to interact directly with the machines. This capability makes it possible for the machine itself to request the next task it must perform when it is free, to learn and to base its decisions on the information available in the systems, placing it squarely within the intelligent manufacturing concepts promoted by Industry 4.0, Advanced Manufacturing and others.